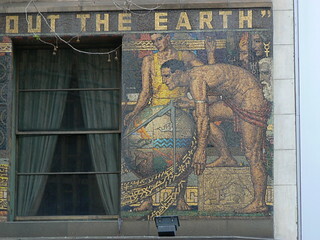 "I'LL PUT A GIRDLE ROUND ABOUT THE EARTH"
In a few hours it will be 2013, marking eighty years since this wonderful mosaic by Napier Waller was completed on the façade of Newspaper House in Melbourne. It is easy to miss since it is at the level of the first storey, a blind spot above the glitz of the display windows at street level. It is difficult to photograph because one of Collins Street's magnificent trees just happens to be directly in front of it. So you end up with an oblique angle like the image above. 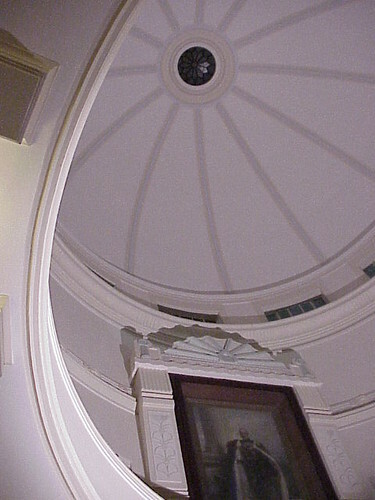 You can try to position the tree across one of the windows but the title, "I'll put a girdle round about the earth" runs in a continuous band above the windows. So you end up splitting it over a few photos. The best time to see the mosaic is midwinter, when the leaves have fallen from the trees and if you pick the right time of day the weak sun reflects off the gold and the whole thing positively glows. 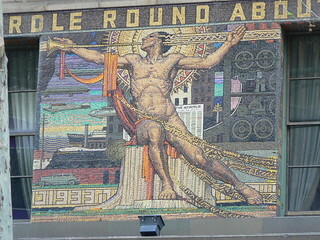 The best photo I have of the mosaic, is not of the mosaic at all. 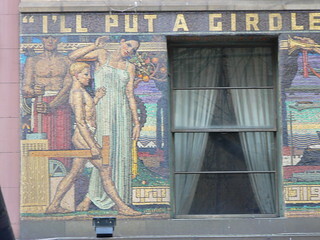 The Art Deco 1910-1939 exhibition at the NGV in 2008 included the large scale oil paintings that Waller did as part of the preparation for the mosaic. 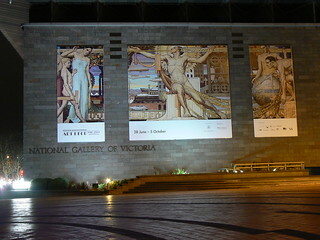 These were reproduced as posters promoting the exhibition and placed on the side of the NGV building. By the way, did you notice the year, 1933, at bottom left of the middle panel. The Peace Hotel goes by a few names. 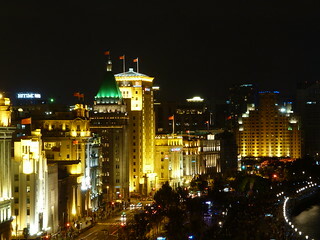 The Cathay Hotel and, as it is now, The Fairmont Peace Hotel and is actually made up of two buildings, the North Building and the South Building. 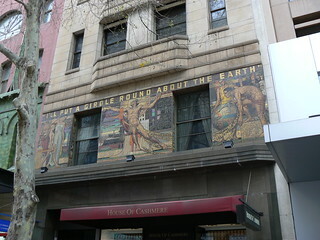 The South Building dates back to the mid 19th century when it was known as the Central Hotel. 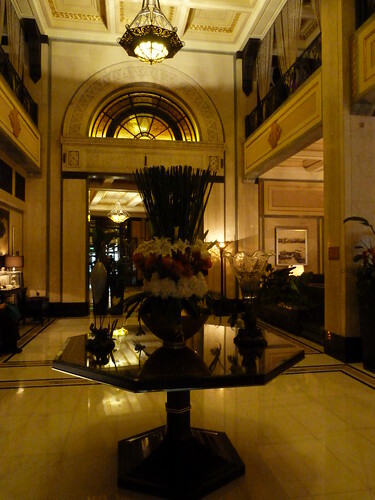 Early in the 20th century the hotel was restructured as the Palace Hotel. 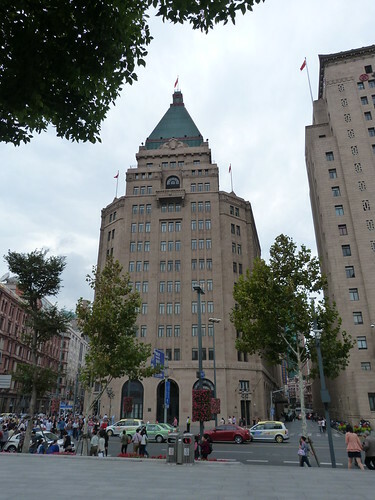 During the Second World War it was occupied by the Japanese and afterwards by the Municipal Construction Department between 1952 and 1965, then it returned to the function of a hotel as part of the Peace Hotel. 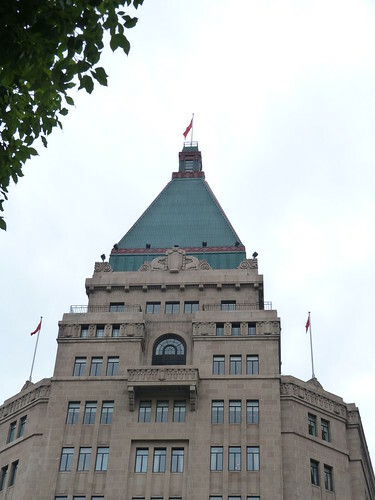 The North building, with its green pyramid shaped roof, was designed by architects Palmer & Turner and construction commenced in 1926. 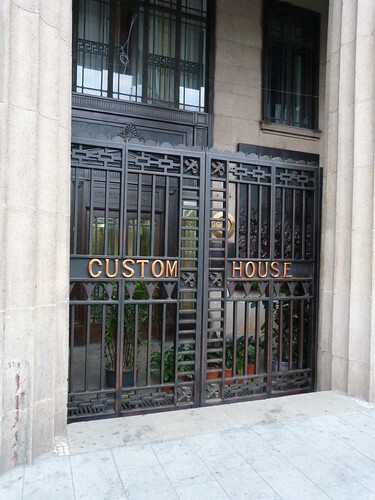 It was known as Sassoon House after its owner Sir Victor Sassoon with the Cathay Hotel operating out of several floors from 1929. 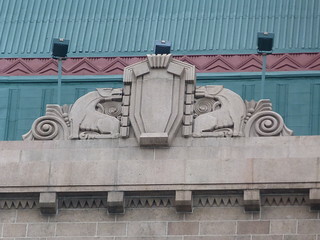 It became the Peace Hotel in 1956 and at the time the building was under the control of the Municipal Government. 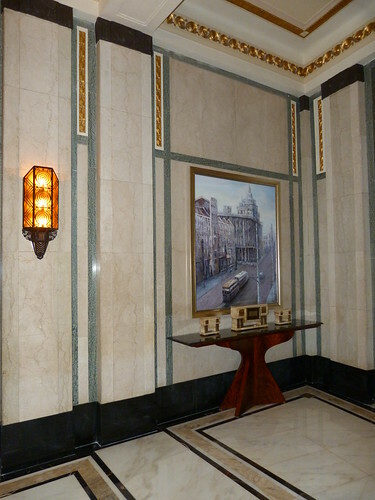 In 2007, the hotel was closed for extensive refurbishment bringing the hotel back to its 1930s glamour. 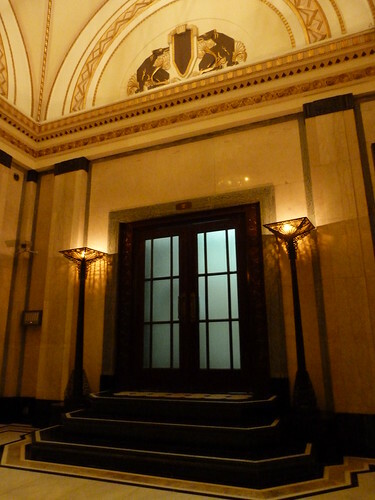 If you want to know more about the Sassoon family I recommend today's post Remarkable Sassoon family: the English branch at the ART and ARCHITECTURE, mainly blog. 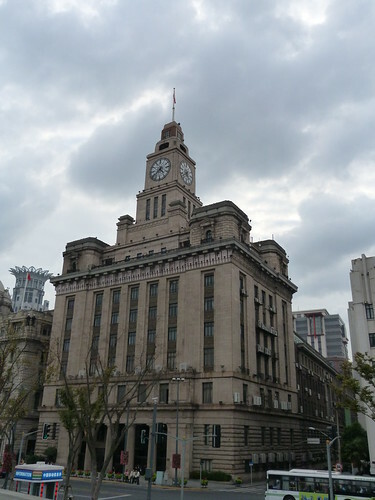 The Custom House is one of the monumental buildings along The Bund in Shanghai. 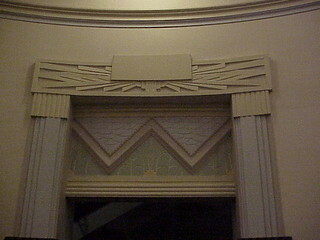 It was designed by Palmer & Turner and built in 1927 but it looks as though it could be from an earlier time. 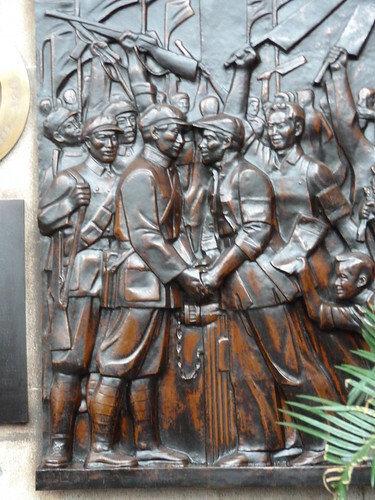 Behind these gates, on the facade, is a wonderful revolutionary plaque. 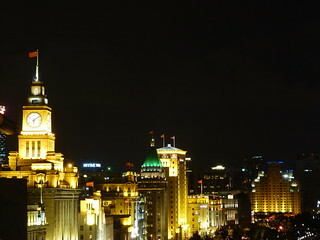 At night the clock tower stands out among the buildings of The Bund. 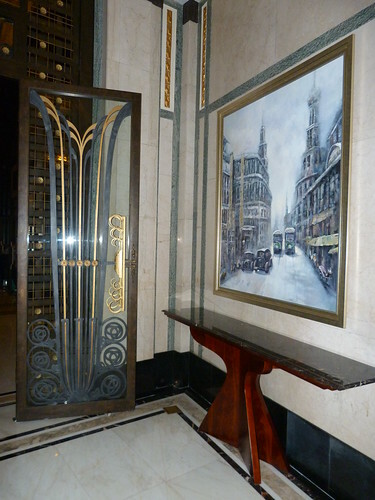 Shanghai Art Deco, by Tess Johnson & Deke Erh. 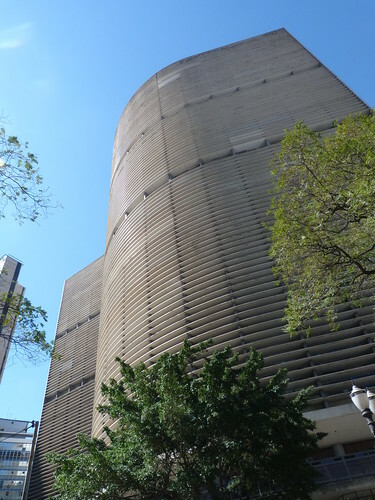 Here's a peak inside the University of KwaZulu-Natal in Durban. 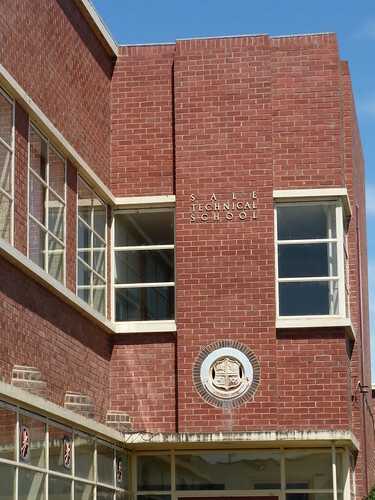 Designed by Powers & Powers and built in 1947. 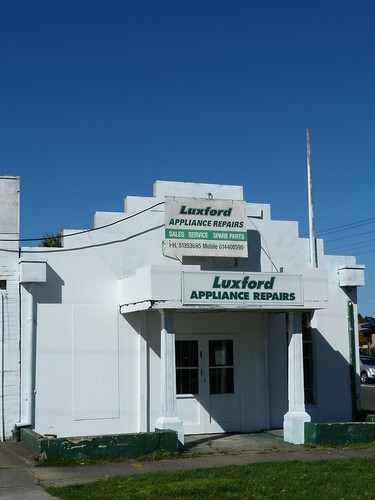 Here's a cute little deco building in Morwell, currently the home of Luxford Appliance Repairs. It even has a suitable sized flagpole. 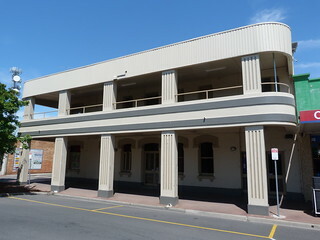 I don't know anything about this building in Bairnsdale, Victoria. 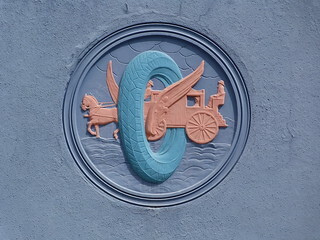 It has the most wonderful tower so it may have been a cinema but the plaque on the façade shows a horse-drawn carriage passing through a winged-tyre so it was perhaps related to transport, possibly a garage. 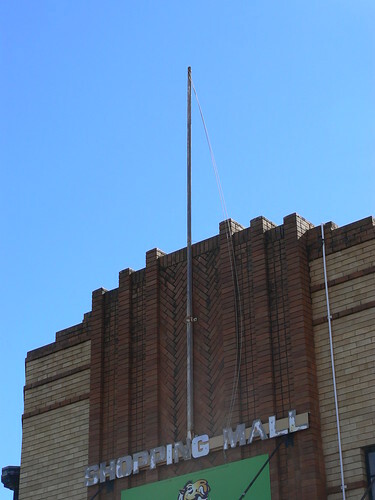 The Centrepoint Shopping Mall in Leeton in rural New South Wales has an interesting history. 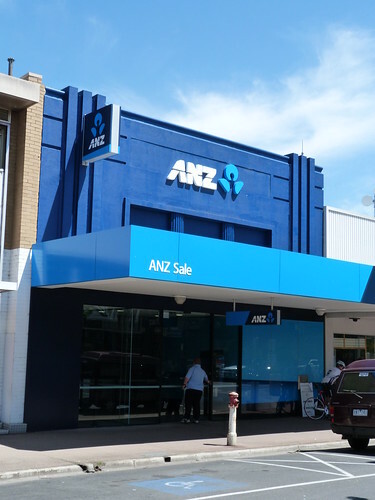 It has only been a shopping arcade from the 1970s. 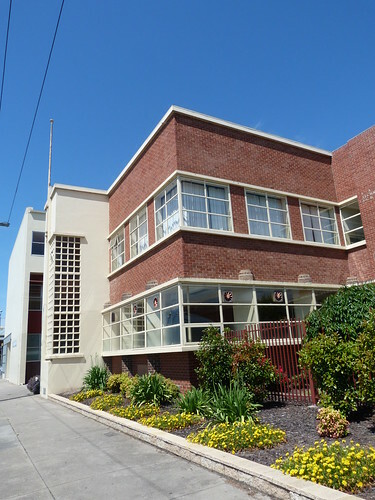 Prior to that it was a the premises of S Richards & Co and goes back to before the Art Deco period. 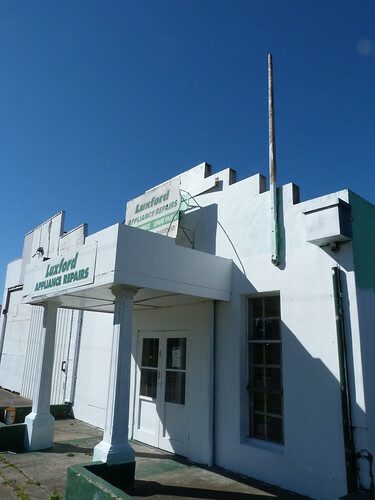 In 1936, local architect G W A Welch designed a new building to be built over the existing building without requiring the business to close. 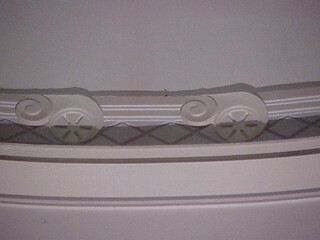 T J Ashton, a local builder, was charged with completing the works. 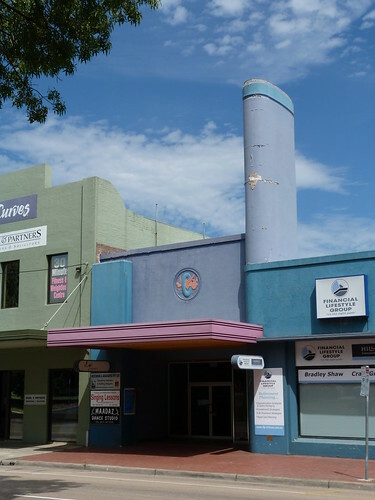 By the way, Leeton are planning another Art Deco Festival for March 2013. Visit the Leeton Shire Council website for more details. 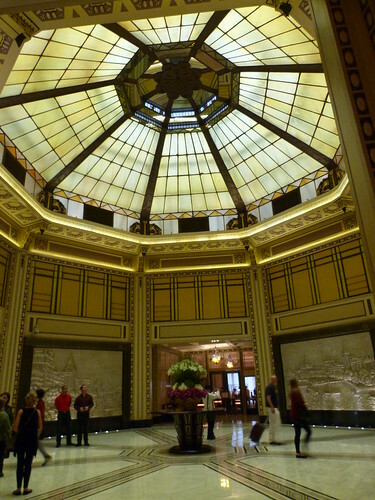 "Hands up who wants to have a look inside the Peace Hotel on The Bund in Shanghai?" 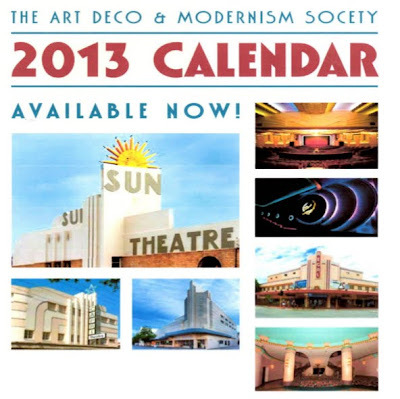 Above is a sample of some of the images from the 2013 Art Deco and Modernism Society Calendar. 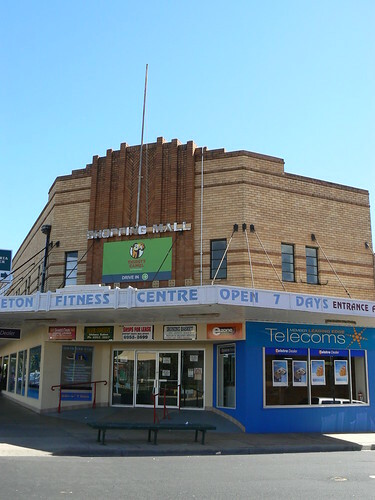 The calendar features theatres for around Australia with most images provided by members Peter Sheridan, Jeremy Storey, Alison O'Loughlin, Robin Grow and myself. Copies are on sale at A$25 each (incl P&P within Australia), Overseas prices on application. You can order your copy now using this order form. 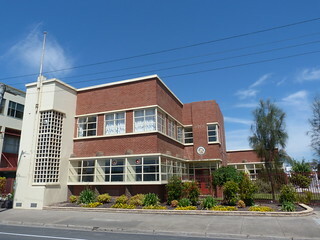 This is the Sale Technical School as it is today but back on 11th Feb 1944 when the Minister of Public Instruction, Mr T T Hollway MLA, visited Sale with Mr W O Fulton MLA, the Director of Education Mr A Seitz and the Chief Government Architect, Mr P Everett to lay the foundation stone, it was the Girls' Technical School. 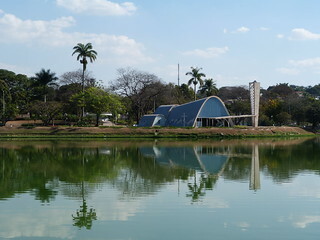 Oscar Niemeyer designed this little Modernist church in 1943, A Igreja de São Francisco de Assis, on the shores of a man-made lake in Pampulha, a suburb of Belo Horizonte. 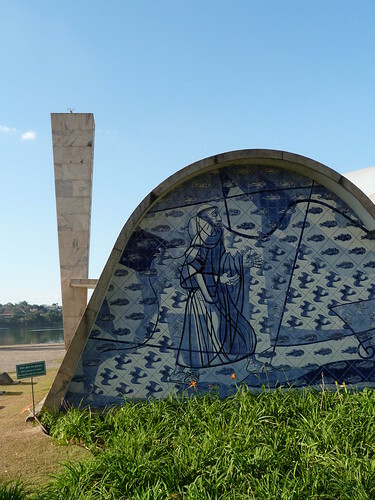 Niemeyer designed a number of other buildings in Pampulha and it was a forerunner for his designs in Brasilia. 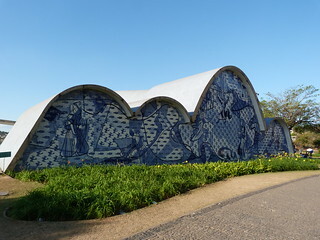 The distinctive blue tiles were created by artist Candido Portinari. 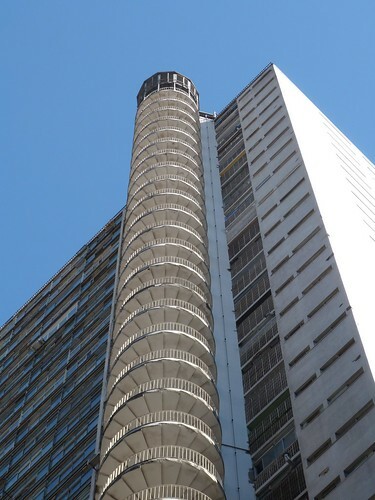 Another modernist building by Oscar Niemeyer (1907-2012), Edificio Copan in São Paulo. 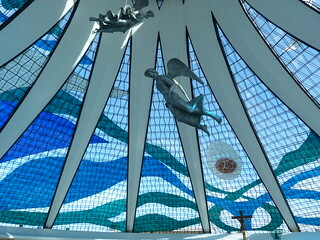 According to Niemeyer's own site, he designed the building 1951 however construction did not commence for several years and was finally completed in 1966. I particularly liked the spiral staircase at the rear which you don't often see in photos. 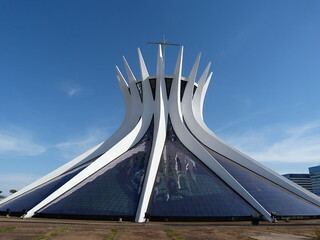 Brazil's master Modernist architect, Oscar Niemeyer, died on Wednesday in Rio de Janeiro aged 104. 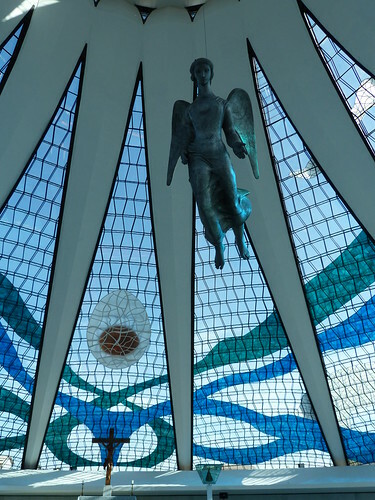 Niemeyer designed buildings in many Brazilian cities but he will probably be remembered the most for the buildings he designed for Brazil's capital, Brasilia during the 1950s & 60s. 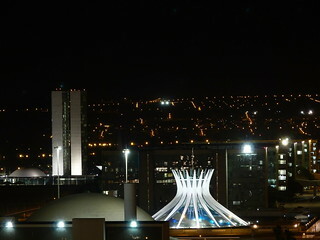 The building above is the Brasilia Cathedral. 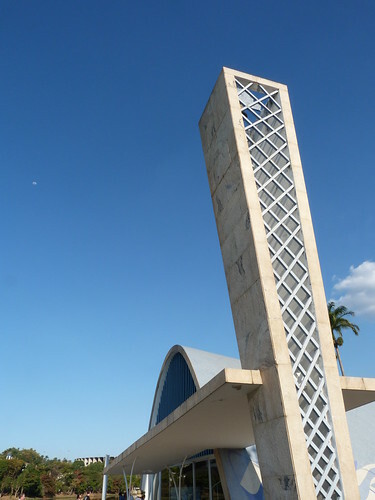 The cornerstone was laid on 12th September 1958 and the cathedral was dedicated on 31st May 1970. 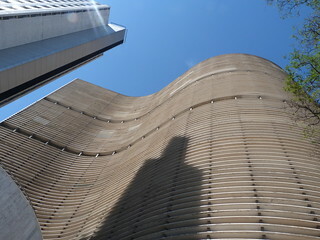 It is one of the most extraordinary buildings I have ever visited. 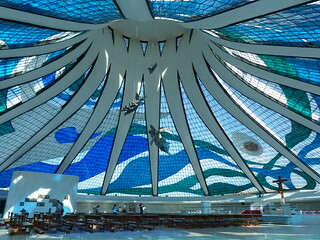 The combinations of blues and greens in the glass walls are mesmerising. and the three angels by Alfredo Ceschiatti, with the help of Dante Croce. 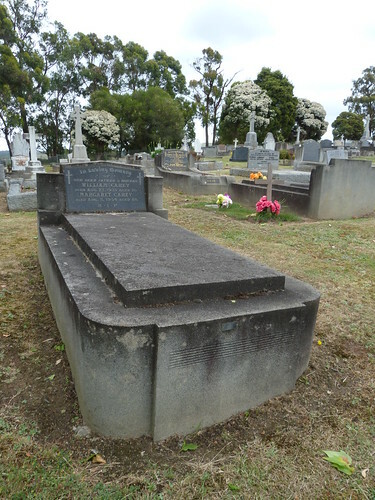 I love to stop and have a look at the deco graves in country cemeteries. Today I had a wander around Bunyip cemetery. 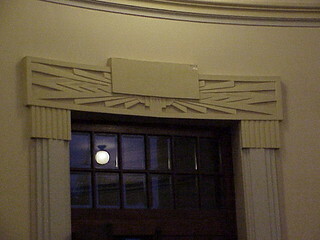 I am astounded by how long the basic concrete deco designs were used. 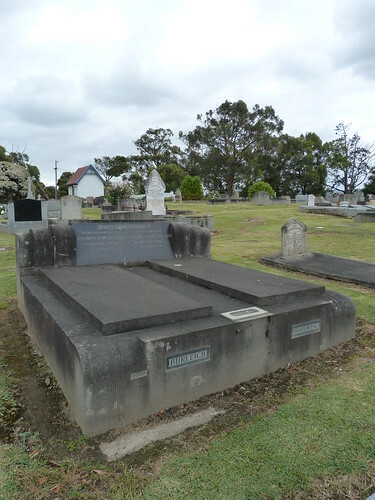 This double grave is for Jane Alice Burleigh (d 17 Nov 1937) and Edwin Albert Brooking (d 29 Jul 1937). 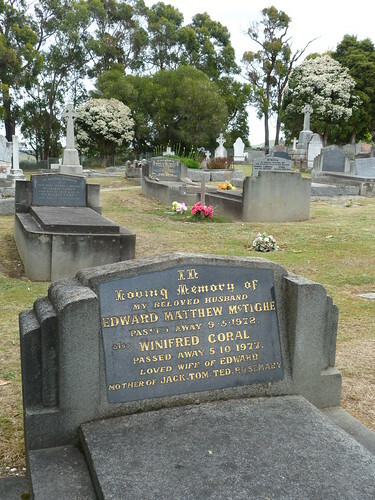 It isn't all that much different from Edward Matthew McTighe (d 9 May 1972) and Winifred Coral McTighe (d 5 Oct 1977). 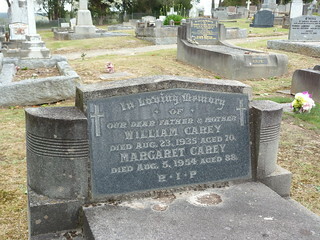 Or the one behind that for William Carey (d 23 Aug 1935) and Margaret Carey (d 5 Aug 1954). This pub is in Sale, in eastern Victoria. 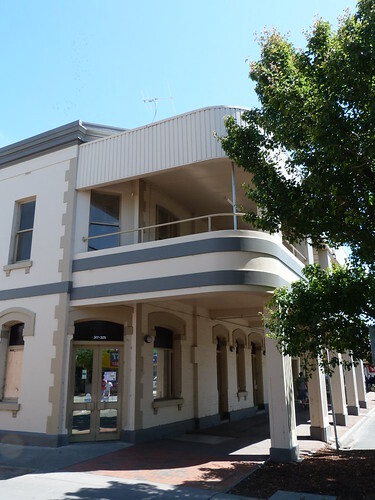 It has this large streamline balcony/verandah but when you look at the side view you can see that it's been added onto a Victoria pub. I had a look in through the windows and it is currently stripped of any internal features so from Victorian to Deco to (hopefully) its next incarnation.